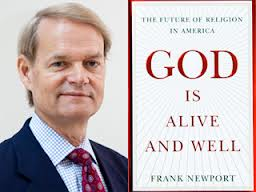 Frank Newport, editor in chief of The Gallup Poll, discussed his book, God is alive and well: the future of religionn in America, in an interview with Salt Lake Tribune. It makes for an interesting read. Despite a deep drop in the number of Americans who identify with a particular faith, the country could be on the cusp of a religious renaissance, says Frank Newport, editor in chief of The Gallup Poll. No kidding? Not a single nation had something like that once they started down the path of secularization? One trend that I’m asked a lot about is the rise of the “nones,” about which there’s a huge amount of publicity, but which is often misinterpreted. When Gallup asked the question about religious identity back in the 1950s, almost zero would say they have “none.” People would say “Baptist” or “Catholic” even if they were not particularly religious. Now, 18 percent of Americans, according to Gallup polls, say they do not have a particular religious identity. 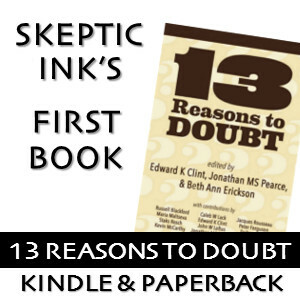 That doesn’t mean that 18 percent are atheists —­ only 5 or 6 percent say they don’t believe in God — but people are changing how they express their religiosity. Of course, that is what people say if you ask if they are atheists, due to the strong negative connotation of this word. And yet-only a quarter of “nones” are believers, as it turns out, unlike what Newport says. Q: Despite the rise of the nones, you say that religion is poised for a renaissance in America. A: Well, I wouldn’t predict it. But it certainly is a possibility that, rather than continuing to decrease, religious identity could increase. We’ve been analyzing data from 350,000 interviews since 2008, and 2012 showed the lowest increase in the percentage who said they have no religious identity, so that might be leveling off. Sure, it is a possibility, but it would be surprising, given that you get the highest percentage of “none” among the youngest people. And have you noticed how fast they are shedding the unquestioning belief? So how are we going to have a religious renaissance? 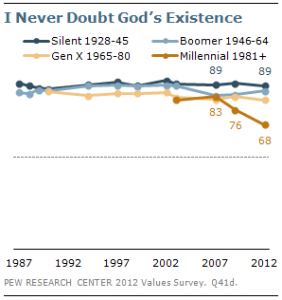 Well, as you can see from the graph above, aging does not automatically make you more religious. What has happened until now is that the most religious segment of the pupolation have been the seniors, because they were religious to start with. 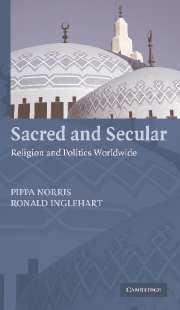 As previous research has shown (including data and analysis in the following book), finding signifcant gaps in religiosity between the young and old is a sign of progressive secularization: in agrarian societies, the young are just as religious as the old. Immigration certainly can slow down the process of secularization, however, in the nations studied in the above book, it could not offset the overall trend of secularization among the natives. And assuming that health benefits of religion are genuine (as opposed, to, say, conferred by belonging to a community and having a reliable social safety net), it cannot be concluded that it will make people more religious, because people don’t always do what is good for them! Q: Why do you propose that the government and companies promote religion as a means to reduce health-care costs? A: That certainly is controversial. We have separation of church and state in this country. But the correlation between religion and well-being has been established by Gallup and many other organizations. The question is causality: Maybe healthier people choose to be more religious. But it’s clear that religious [people] are less of a drain on our mental and physical health systems. So, a company may want to give discounts for employees who attend church four or five times a month, just as many give discounts for employees who go to the gym. If America were to become more religious, and this is controversial, it would become healthier. It would be of highly dubious benefit, and would violate the Civil Rights Act (not to mention the Constitution). But hey, who says he shouldn’t put a little wishful thinking in the “empirical” book that he wrote? “I think it’s long overdue for an organization with a name as well-known as Gallup to recognize what the demographics of the American electorate actually are and figure out why their model has continued to skew too old, too white and less likely to be college educated than the nation’s voters,” Benenson said. In the Gallup surveys, their weighting for the youngest voters was less than where they were in the 2008 exit data. The same was true for some minority voters. It seems Gallup had an agenda to support during the election, and it has (by its own admission) an agenda with religiosity.